The musculoskeletal system and its functions can be defined using the basic laws of mechanics. The field of biomechanics explores the effects of energy and forces on biological systems. The spinal column and its associated vertebrae and contiguous soft-tissue structures can be better appreciated with an understanding of these principles. In evaluating the spine, forces, moments and motion must be separated into individual entities. This separation allows understanding of normal as well as abnormal conditions such as fractures, deformities and degenerative conditions. 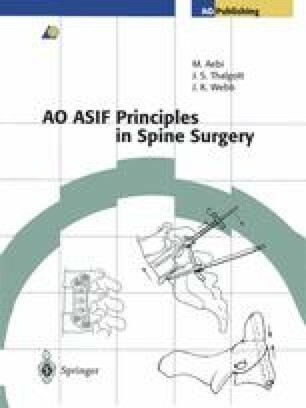 The function and purpose of surgical restoration of normal spinal alignment must respect the laws of mechanics and their biomechanical principles. Achieving an understanding of these principles, including force analysis, kinematics, static and dynamic loading, modes of spinal failure and implant failure, allows one to critically evaluate his work. Understanding these mechanical and biomechanical principles would then allow one to plan and apply spinal instrumentation from a sound scientific perspective.